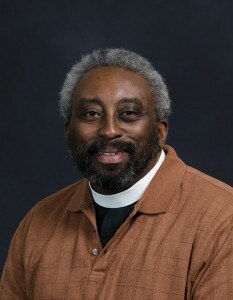 Coker College Associate Professor of English the Rev. John Foster III has been selected to participate in the Teaching Interfaith Understanding Seminar to be held in Boston, Mass., June 21-25. Participants will examine theoretical questions in regard to teaching interfaith understanding and explore practical ways of translating these ideas into their courses. Participants will also have opportunities to develop teaching resources, such as syllabi or course modules, that can be shared online with colleagues at other institutions. The seminar is co-hosted by the Council of Independent Colleges and Interfaith Youth Core and supported by a grant from the Henry Luce Foundation. The goal of the seminar is to broaden faculty members’ knowledge and perspective in order to strengthen their teaching of interfaith understanding, develop new courses and other resources as well as encourage the development of a growing network of faculty members who are committed to teaching this subject. Foster has been a faculty member at Coker since 1990. He earned a bachelor’s degree in English and a master’s degree in education with a specialization in English from the University of South Carolina. Foster is active as a deacon at St. Bartholomew’s Church and has worked to establish an active college ministry at Coker College. As part of this outreach, Foster worked with Coker’s Enactus team to develop, refine and offer a low-cost SAT preparation course for high school students in Darlington County and the surrounding region. He continues to offer these courses to high school students. Release written by Media Relations Coordinator Elizabeth McCarley. Coker College readies undergraduates for personal and professional success through a distinctive four-year program that emphasizes a practical application of the liberal arts as well as hands-on and discussion-based learning within and beyond the classroom. Coker is ranked among the “Best Colleges” in the South by U.S. News & World Report as well as The Princeton Review. Located in Hartsville, S.C., Coker is within two hours of the cultural, financial and recreational resources of Charlotte, Columbia, Charleston and Myrtle Beach.